England would offer to host the 2022 FIFA World Cup if the honor is stripped from Qatar following allegations of corruption and bribery, Secretary of State for Culture, Media and Sport John Whittingdale has said. 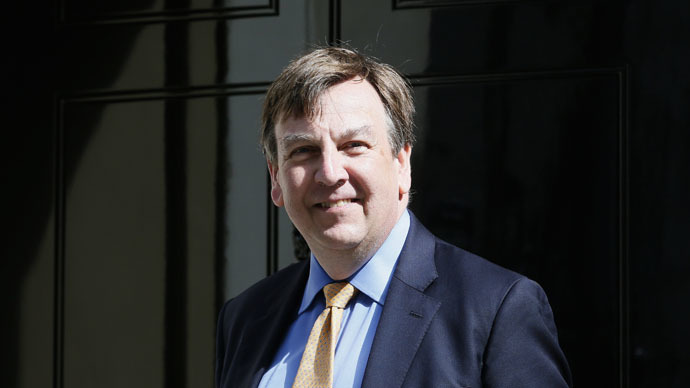 Whittingdale told the House of Commons that the UK had adequate facilities to host the tournament and had previously mounted an “impressive, if unsuccessful” bid. He called for major change within FIFA, after its president Sepp Blatter stepped down amid allegations of bribery and corruption and suggestions that the awarding of the 2018 and 2022 World Cups to Russia and Qatar may have been illegitimate. “In order to achieve the reforms that all of us believe are vitally necessary for FIFA, the first requirement was a change of leadership,” Whittingdale said. When asked whether the UK had the capacity to host the 2022 tournament, he said there were adequate facilities. “In terms of the decision to hold the 2022 World Cup in Qatar, that is obviously something where we’re watching the investigation, but obviously that decision stands,” Whittingdale said. “If it were decided to change that, I think as the chairman of the English FA observed, if Russia hosts the World Cup in 2018 it would seem very unlikely that another European country would host it in 2022. Whittingdale was also asked whether broadcasters should refuse to pay for the rights to film the two World Cups. He said it would be “unfair” to deprive fans of the games. Labour have also called on the Serious Fraud Office to fully investigate any British connections to the FIFA corruption scandal. “We have excellent investigative and prosecuting authorities in this country,” Bach said, adding that Lord Faulks should advocate a full investigation. “Do you agree that this is the appropriate time for a thorough investigation into any possible British connection, whether through the banking system, British nationals or in any way? Lord Faulks said the SFO was “actively reviewing material in its possession” and was ready to assist US and Swiss authorities. “It is a fast developing situation. The SFO has been aware of allegations relating to FIFA for some years, is keeping the situation under review and is willing to assist in any way it can. “We do not think there is a question of a lack of resources. Although the SFO is involved in a number of high-profile and difficult cases including into the Libor manipulation, resources are not a problem in this particular case,” he added.